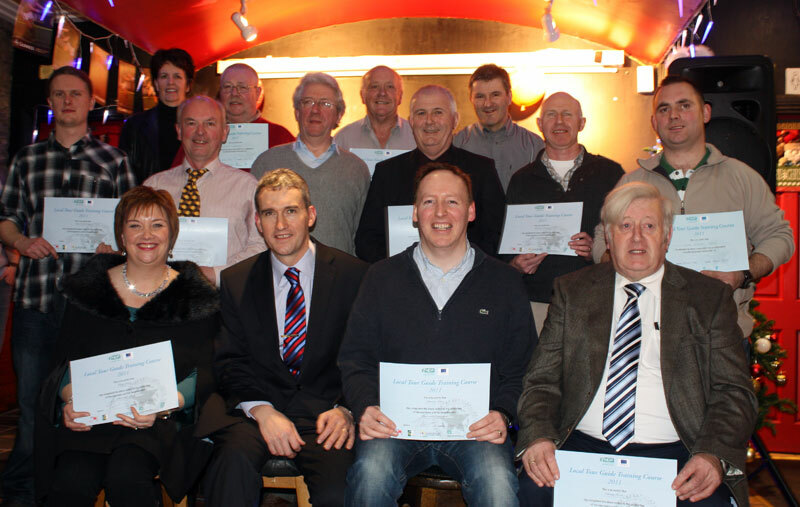 Last autumn Avondhu Blackwater Partnership ran a high end Tour Guide Training course (funded through the Rural Development Programme 2007-2013), the objective of which is to increase the body of local tour guides and to enhance the tourism brand in North Cork. The course finished with an intensive series of examinations and recently the awards ceremony took place, honouring the graduates. Tom Barry TD presented the awards along with Avondhu Blackwater Partnership CEO Valerie Murphy and Coordinator Damien Tobin, who was delighted with the reaction to the 10 week course which consisted of a combination of local heritage, history and practical tour guide skills. The training will supplement the existing Blackwater Valley Heritage Trails, which were launched last year by Avondhu Blackwater Partnership. The three trails criss cross North Cork visiting the prime heritage sites and proved hugely popular surpassing all expectations with the demand. The Blackwater Valley Heritage Trails will operate again from March onwards and interested parties should contact Damien Tobin on 025 33411.